An Editor Changed Your Work. Now What? Working with an editor can be a funny thing. Often, a writer will send work to an editor, ostensibly understanding the purpose of the editorial process—that is, to make the work tighter, clearer, better. But then, once the editor returns the work, the writer is appalled to find that it’s different from what he or she submitted. The editor has made changes to the text! What audacity! Of course, if the editor didn’t make changes, then there wouldn’t be much point to the editing process at all. Still, seeing your manuscript marked up with red ink can be a little vexing; you obviously have an emotional attachment to your work, and while you want it to be the best it can be, you also want it to hold true to your original vision. So what should a writer do upon receiving significant changes from an editor? Here are our tips. First, analyze the changes. Take some time to really go through the revisions and to consider why they were made. You may even need to give yourself a day or two of distance, to get your emotions in check. What you’ll probably find, though, is that the changes were made to render the work clear and concise. Your editor is on the same team, after all, and just wants your writing to shine. Chances are, the changes made don’t alter your original message; most are probably relatively minor things that just make the work that much better. Be kind! No need to blow your stack and send the editor a nasty email. Instead, be polite and clear in articulating why you’re not comfortable with the changes. Explain your intention with the work, and then how those changes compromise your vision. More likely than not, your editor will be able to work with you to find a good place to meet in the middle. Remember that an editor’s revisions are suggestions, not prescriptions. It’s still your work, and nobody’s forcing you to accept changes you’re just not comfortable with. You can graciously decline a piece of feedback that you feel misses the point of your work. With that said, if you find yourself declining every suggested change, that may be a sign that you’re not getting the most out of the writer-editor relationship. Of course, it goes without saying that working with a qualified and competent editor is key. At Grammar Chic, Inc., our editors are effective at making your words shine—without changing the character of your work altogether. Learn more. Call us for a consultation at 803-831-7444, or reach out through www.grammarchic.net. Not all editors are created equal—and if you want to find the person who best fits your style, your disposition, and the parameters of your project, it’s important to do some due diligence. This is true whether you’re hiring an editor for your company emails, your business brochure, or the novel you’ve been cranking out: You should vet potential editors before hiring them. You can start by interviewing a potential editor and asking these key questions. What kind of experience do you have? You probably want someone who’s done professional editing work before, and on projects like your own. If you’re looking for someone to edit a business document, you may not want an editor who only works in fiction. What kind of training do you have? Anyone can call themselves an editor—but you have every right to seek someone who has actual, formal training in this role. What is your editorial style? What sort of notations can you expect to see? Will the editing be conceptual, developmental, or purely proofreading? How will your editor convey suggested edits to you? Will the editor offer an overall summary of your work? What sort of consultation do you offer? You want to find an editor who will not only annotate your work, but also spend some time with you talking through the suggested revisions. What is your goal as an editor? You want to find an editor whose mission is to make both the writer and the writing shine. What is your turnaround? Get an idea of how long the editing process will take. What are the deliverables? Will you receive a marked-up document? A document with “track changes” on? A more formal editorial letter? What’s the fee? Naturally, you’ll want to ask about pricing on the front end of your arrangement. The bottom line: There are a lot of good editors out there, and it’s worth taking the time to locate the person whose style best fits your needs. These questions will point you in the right direction. Grammar Chic’s editors are always happy to answer these questions and any other you might have. To ask us about the editing process, contact Grammar Chic, Inc. today. Reach us at www.grammarchic.net, or 803-831-7444. Good writing and good editing go hand in hand; it’s impossible to imagine one without the other. If you want your writing to shine, then, it’s smart to consider working with a professional editor—and that’s true whether the work in question is a press release for your business or the first draft of that novel you’ve always wanted to write. But what, specifically, are the benefits of working with an editor? We’ll list just a few of them. An editor will offer you a fresh pair of eyes. The hardest part of editing your own work is that, after staring at the same document for hours, or reading it dozens of times over the span of many days or weeks, you just can’t help but gloss over your own mistakes. A third party will spot the things you miss. Editors are objective and unbiased. The editor doesn’t have any duty to uphold your feelings or bolster your self-esteem; the editor’s duty is to make the work as good as it can possibly be. The ruthlessness of a good editor can help you put aside vanity and really create the best writing possible. Editors know how to choose the best words. 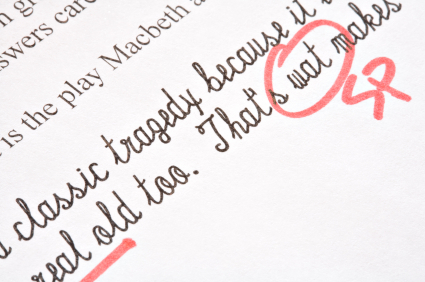 Good editing isn’t just about avoiding typos. It’s about expressing yourself in the clearest, most effective language possible—something an editor can assist you with. You can get help on your project at the developmental stage. If you have a piece of writing you’re just not sure about, or need to bounce off someone before you commit too much time to it, you can always enlist an editor to help you vet your ideas and make sure they’ve got real promise. Editors save you time. You could spend another few days re-evaluating your work, fussing and fretting over it again and again—or you could send it to an editor and then move on to your next project. Editors save you headaches, too. Editors are a special breed. They don’t mind going over word choices and grammatical constructions with a fine-tooth comb, or evaluating every clause and punctuation mark at the minutest level. That may sound tedious and frustrating to you, so why not get an editor to do it for you? An editor will help you distill your message. A good editor won’t try to remake your writing in their own image, but rather will help bring your work to its clearest, most effective state. You don’t need to worry about your message getting lost. A good editor will make sure that just the opposite happens. No matter your writing project, a good editor can help you achieve its full potential. Hire an editor today by reaching out to the Grammar Chic, Inc. team at 803-831-7444, or www.grammarchic.net. Writers know that they need editors to provide an unbiased assessment of their work; to bring precision and focus; and to help shape and mold the writing until it’s as perfect as can be, ready for public consumption. They know it—but they don’t always like it. And it’s not hard to understand why. Your writing is personal, and you have every reason to feel proud of it. Having a third party come in and start making changes can feel a little bit like a personal attack, though of course it isn’t. With that said, you can have a fruitful and enjoyable experience working with an editor—whether on a piece of fiction or on the copy you’ve written for your business website. Here are some suggestions we’d offer. Remember that your editor is on your side. You and your editor both have the exact same goal in mind: To produce the best piece of written content possible. You may be coming at it from different perspectives, but you ultimately want the same thing—so remember that criticisms you receive aren’t personal attacks. They’re honest attempts to make the work better. Be open minded. Go into the process assuming that your editor’s suggestions are reasonable and worth considering. That doesn’t mean you have to act on every single one of them. It just means you should let them sit for a while rather than dismissing them out of hand. Even suggestions that initially strike you as ludicrous may reveal themselves to be really smart when you really give them a chance. Give yourself some time and space. After you receive feedback from an editor, step away from your work for a day or two. Don’t rush to any judgments. Just allow yourself time and distance to make an informed and thoughtful decision. Don’t fear that you’ll lose control. A good editor isn’t going to rewrite your work. A good editor will offer you guidelines for making it better—but you’ll always be in the driver’s seat, and it will always be your vision. You don’t have to worry that the work’s going to become something else altogether. And if you do have an editor who rewrites everything in his or her own image, well, that’s when it’s time to find a better editor. Remember that editors are people, too. A good editor will be right much of the time, but not all the time. You probably shouldn’t ignore all your editor’s feedback, but pushing back against an item or two is perfectly reasonable. Communicate. Ask questions. Get clarification. Try to find out why an editor is making his or her suggestions. Communication is key to any relationship, including the one between writer and editor. One more thing: It really is important to find a good, experienced editor. We’d love to talk with you about our own editorial lineup. Reach out to Grammar Chic, Inc. to learn more. Contact us at www.grammarchic.net, or 803-831-7444. Your resume may be a powerful showcase of your skills, your achievements, and your professional trajectory—yet if there is even a single typo on the document, it could sink your chances at an interview, and derail your job search completely. We’re not being hyperbolic, either. Hiring managers and recruiters are inundated with resumes, and they don’t need much reason at all to discard yours—giving themselves one less applicant to tangle with. And typos, while often perfectly innocent, can call into question your professionalism and your attention to detail. In short: They make you look bad! When building your resume, proofreading is an essential step. We understand that you may not be confident in your own proofing skills, and we get it. It’s challenging to catch mistakes in your own work. But you can do it—and we’ll show you how. Print out your resume. Here’s why: The mind engages text on the screen differently than it does text on the page. By reading both ways, you can be more thorough in spotting potential errors. Read out loud. When you read the text out loud, you not only pick up on more errors, but may also become aware of issues—like over-repetition of a particular word—that makes the resume seem a bit off. Put a finger on each word. As you read, either on your tablet or a printed document, put your finger on each new word as you read it—preventing your mind from skipping over anything. Read it backwards. Start at the bottom and work your way up! This ensures that you’re actually seeing the letters on the page, not getting distracted by the ideas, context, or logical flow. Get a friend to help. No matter how rigorous you are, you can still benefit from having multiple sets of eyes. Your resume should look like perfection, and proofreading is an essential part of that. One more thing you can do to ensure the right level of polish? Hire a professional resume writer. Ours are always happy to help, whether you need a quick review or a complete rewrite. Reach out to the resume writing professionals on the Grammar Chic team today. You can connect with Grammar Chic, Inc. online at www.grammarchic.net, or call us at 803-831-7444. Is It Time to Overhaul Your Resume? If you’re like many people, you only give your resume a second glance when you’re looking for a new job. That can backfire when you’re in a rush to apply for open positions and you may not give off the best impression or emphasize your strongest assets. Keeping your resume up-to-date even when you’re not actively seeking a job can help you to be more prepared when an opportunity comes along. It’s been years since you’ve revised it. Resume formats and trends have changed over the years, so if you’re submitting the same resume you used 10 years ago (or even 5), it’s going to be pretty obvious to recruiters and employers. Long gone are the days of objectives and “references available upon request.” Say goodbye to that AOL email or the address you’ve been using since college if it isn’t something professional. You want to ensure your resume is in line with what employers are looking for today and isn’t dating you. Your resume could apply to anyone or any position. If your resume is filled with generic copy that doesn’t set you apart from the next applicant and doesn’t strongly demonstrate your capabilities, you’re wasting the opportunity to make a memorable first impression. In fact, you may find that your resume is being passed over more often than you’d like. Your resume should be a reflection of you and what you have accomplished throughout your career. Focus on your achievements and what you bring to the table. You’re not getting many – or any – responses. You’ve submitted your resume to dozens of jobs yet hear nothing back. While part of this may be the competitiveness of the market and the particular jobs you are applying for, your resume may also be to blame. If employers can’t quickly see that you are a good fit, you have the skills they seek, and you can benefit their company, they’ll move on to someone who does fit the bill. Now may be a good time to really evaluate your resume and give it a good updating so that it works in your favor. You’re getting calls for the wrong types of jobs. Are you getting calls for jobs that aren’t in line with what you’re looking for? Your resume may not be presenting you in the way you’re hoping it does. To you it may seem obvious what type of job you’re seeking or why you’re a good match, but to employers it may not be. Spell it out on your resume. Don’t let there be any doubt about your abilities or how you’re branding yourself. This is where a solid summary of qualifications and core competencies section come into play. If your resume is missing the mark, or you’re just not sure where to start, the team at Grammar Chic is here to help. We will work with you to create an up-to-date resume that reflects you in a positive light and generates attention for the right reasons. Contact Grammar Chic at (803) 831-7444 or www.grammarchic.net today! You may not have been an English major, and you may find the task of revising your own written work to be frankly tedious—but proofreading is a skill that no executive, entrepreneur, or professional person should be without. Just as it is important to have some basic skills in writing and in accounting, so too is it imperative for business owners to have a command of some proofreading basics. There will be times, of course, when you must write something—your website content, a Facebook post, a company press release, or a blog entry, for instance. Even if you outsource all of the above to a professional writing company like Grammar Chic, Inc., you’ll at least need to know how to compose your own professional e-mails. And for any of these writing projects, any typos or stylistic errors you make are ultimately going to undermine your authority and distract from the message you’re trying to convey. In a very real way, a grammatical flub-up can ruin a social media post or a marketing message. This is not to say that you have to suddenly develop an encyclopedic knowledge of English grammar, but you should at least get into the habit of re-reading everything you write, scouring it for any words, letters, or punctuation marks that need to be corrected. Checking your spelling is always important—but relying on SpellCheck is insufficient. SpellCheck won’t always catch homophones, which are words that differ in meaning and spelling, but are pronounced the same way. For example, their, they’re, and there all sound alike, and as you type it can be easy to enter one when you mean one of the others—but this is an exceedingly amateurish mistake that makes it plain your work hasn’t been re-read or edited at all. Keep an eye out for these as you revise your work! Subject/verb agreement. This one should be pretty easy to identify as you read back through your work; when the subject and verb do not agree, in number or in tense, it just sounds funny. Some examples: You always want to say the customer is first, not the customer are first and not the customers is first. Finally, try to be aware of words that you may be overusing. You may really think your business is agile, but using the word agile in every sentence will make your writing tedious. Look up synonyms! Of course, you may also wish to have a professional editing company you can call—and Grammar Chic is always available! Contact us today: Visit http://www.grammarchic.net, or call 803-831-7444.